Each year Totman’s works to raise money and food for a local food pantry. 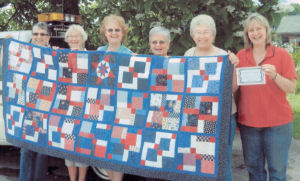 A local group of quilters, Mickey’s Angels, saw our efforts and donated a hand-made quilt to raffle for this year’s efforts to help end hunger in Waldo County! The quilt is absolutely gorgeous – pictures don’t do it justice. 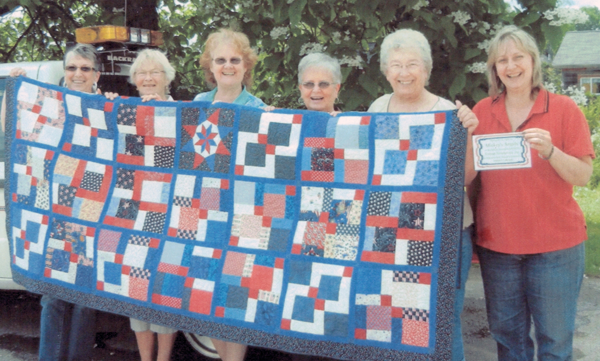 All proceeds from the quilt raffle will go to the Belfast Soup Kitchen. Raffle winner will be drawn at our annual Holiday Open House, Saturday, December 15, 2012. Raffle tickets can be purchased at Totman’s at 369 Augusta Road in Belmont (across from Maritime Farms) for $1.00 each or 6 for $5.00. Please support our efforts to help make sure no one goes hungry in Waldo County and consider buying a raffle ticket or two if you’re able. Our annual food drive also begins on October 31 and runs through New Year’s when the food donations will be delivered to the local food pantry in Morrill. 2012 Scholarships – CALL FOR APPLICATIONS! It's Sunday 8:21 PM — Sorry, Auto Repair is closed, but we're Always Open for towing!